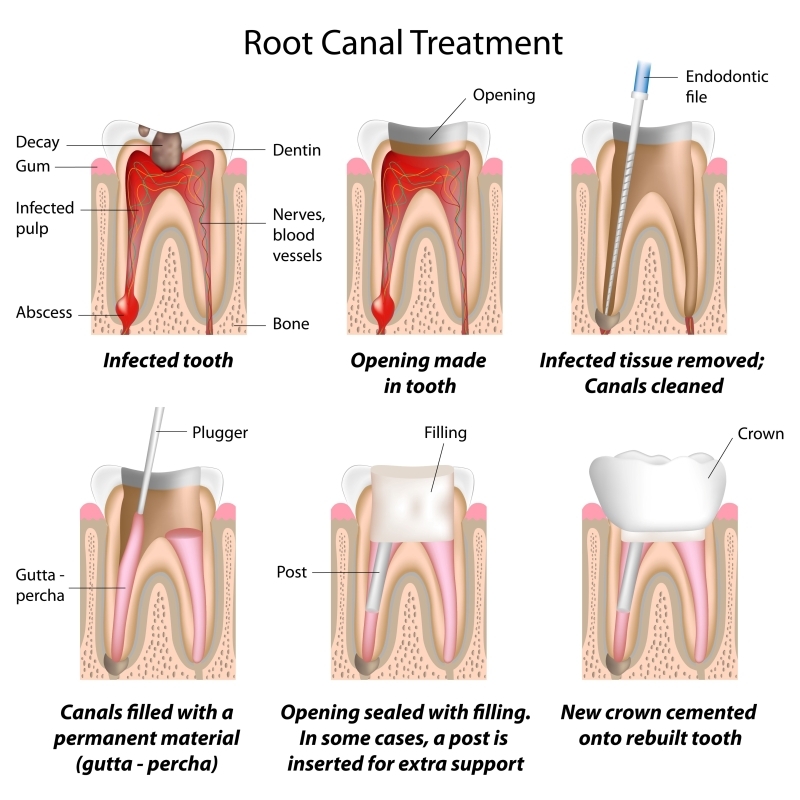 A root canal is the space within the root of a tooth. It is part of a naturally occurring space within a tooth that consists of the pulp chamber (within the coronal part of the tooth), the main canal(s), and more intricate anatomical branches that may connect the root canals to each other or to the surface of the root. It is indicated when a small cavity is deep enough to affect the nerve of the tooth. This could be accompanied with pain and can lead to abscess and loss of tooth if untreated. Q: What does root canal treatment involve? A: Treatment often involves from one to three visits. During treatment, Dr. Nader Ahdout removes the diseased pulp. The pulp chamber and root canal(s) of the tooth are then cleaned and sealed. Q: How long will the restored tooth last? A: Your restored tooth could last a lifetime, if you continue to care for your teeth and gums. However, regular checkups are necessary. As long as the root(s) of a treated tooth are nourished by the tissues around it, your tooth will remain healthy.